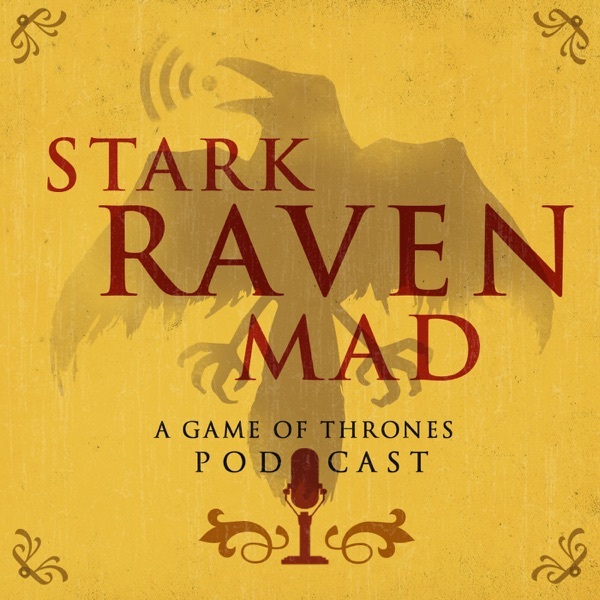 Stark Raven Mad is a Game of Thrones podcast hosted by Mike Marbach and featuring a panel of Philly comedians including David Donnella, Rob Alesiani, Whitney Rumble, Frank Farrell and more. We got you covered with episode recaps as well as special episodes for reviews, theorizing, awards and a ton of other fun stuff. SRM: The Iron Bank of Braavos Presents the Stark Raven Mad Stone Cold Locks of 2019! Game of Thrones Is About To Get All Of Its Murders Solved! Are We Being Primed For the Arrival of Lady Stoneheart? SRM S06E06: Start Your Benjens! Stark Raven Mad Awards for Game of Thrones Season 6 Coming Monday, July 6th! New Artwork and Music For Stark Raven Mad! SRM S05E08: Come at me, Crow! Gettin’ Close With The Mountain! #TBT to #GameOfThrones Season 3 Bits + Contest! Stark Raven Mad Returns Monday, April 13th! SRM Live at 2014 Philly Podcast Festival!